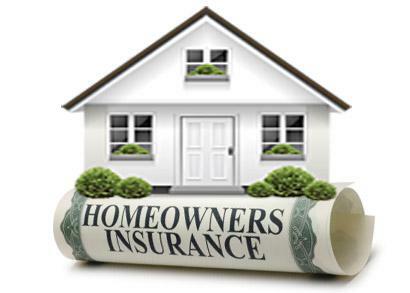 In all probability your home is your biggest asset and so it is no wonder than you want to protect it with homeowner’s insurance. Still, there’s no reason for you to pay any more for your homeowner’s insurance than you need to – and luckily there are several things you can do right now – some very simple, others more involved – which will allow you to lower the cost of your homeowner’s insurance right away. Let’s start by a quick examination of how much insurance you need to buy. What you need is enough insurance to cover the replacement cost of all the items in your home (your home’s contents) plus the cost of rebuilding your home from the foundation up. You do not need to buy insurance for the value of the land that your home sits on. Keep your credit record spotless. Did you know that the higher your credit score the lower your monthly homeowner’s insurance payment will be? Make your property safe to reduce the possibility of an accident-related lawsuit. Repair or replace any loose or broken floorboards in porches or decks, repair any cracked or buckled walks, and fill in all potholes. Next, make your home more burglar-proof. Install motion-sensitive floodlights and trim all bushes back away from any window. Make certain every exterior door has a working deadbolt and every window – regardless of what floor it’s on – has a working lock. Naturally you’ll want to install the required number of smoke and fire detectors and you’ll be sure to change batteries twice each year. Buy a kitchen-style fire extinguisher and mount it in a convenient location in your kitchen. A home security system that is monitored off-site 24/7 is not only an excellent investment in your peace-of-mind but such systems can also save you as much as 20% or more on your monthly homeowner’s insurance bill. Talk to your agent before purchasing any such system, however, as not all systems qualify for the same premium discount. If you have a home-based business talk to your tax man about possibly writing off a portion of such a system. A tax write-off combined with the savings you would realize on your homeowner’s insurance premium may make a home security system very attractive. Is anyone 55 or older and retired living in your house? If so, make sure your agent knows as this can save you even more money every month. The largest single claim category filed against homeowner’s insurance is for water damage caused by a broken water pipe or by a faulty connection to an appliance. If your home is over 10 years old ask your agent how much you will save if you spring for an upgrade of your plumbing and electrical systems. If the numbers add up, this could be a nice monthly savings. Can you afford to increase your deductible? Increasing your deductible can reduce your monthly homeowner’s insurance payment almost instantly, but be careful that you don’t agree to pay more of a deductible than you can actually afford. Finally it’s time to take everything you’ve learned in this article and go online. Fill out the forms on a minimum of 3 different homeowner’s insurance price comparison websites – but be absolutely certain that you put the exact same information into all three forms. In this way you will be certain to be comparing the same policy every time. Now determine which companies you feel confident will still be around 30 years from now and then simply choose the lowest priced policy from among those companies. That’s it! You’ve now done everything necessary to compare low cost homeowner’s insurance in South Carolina and you’ve saved a ton of money in the process. Well done!